How much does it cost to establish an acre of forage? How much does it cost to have custom work done? These are common questions since the flooding caused by the hurricanes of 2004. Also, diseases in the citrus groves have caused additional interest in converting groves to forage. In this article I have included a discussion of budgets, 13 forage budgets, and spread sheets with Estimated Equipment Costs, and Custom Rates for North Florida. When using the following budgets, be sure to use your own numbers. These budgets are the "best guess" from many specialists on what inputs are needed and the cost of those inputs. Use these budgets as a method to analyze something on paper before putting it into practice. Be realistic in your estimates of profitability, feasibility and the impact of changes that you make. The purpose of a budget is to estimate costs, returns and profit per acre, and help identify more profitable strategies. The budgets are divided into two sections: Operating Costs and Ownership Costs. Ownership costs are more difficult to assign. These are costs that would exist even if the crop wasn't grown or changes in cropping made. Ownership costs incur due to ownership of machinery, equipment and land. Also included are expenses that can't be directly associated with a single enterprise or activity; such as pickup expense, liability insurance, or shop expense. At the bottom of the forage budgets are several notes. 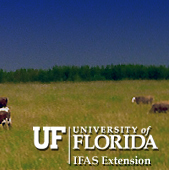 These notes provide detail into what was applied and follows Extension recommendations for the listed forage. What would it cost to cash rent similar land? The net cost of a share-rent lease for this forage on similar land. For owned land - the opportunity cost of capital invested. Be cautious with this value. Given the current price of land and what you expect for a rate of return on your investment this number could be surprisingly large. The spreadsheets with Estimated Equipment Costs, and Custom Rates for North Florida are also estimates and several years old. These are estimates and should be used as such and not as a club to use against those that do custom work. The biggest change is the cost of fuel; otherwise the spreadsheets should not be distorted from the time they were assembled.